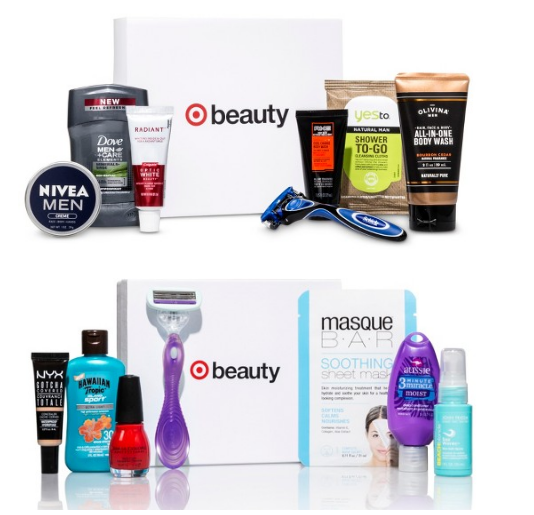 Don't forget to check the beauty sale pages at Macy's here andNordstrom here for new beauty deals plus free shipping! The Staples Rotating Desk Organizer: my new storage solution for brushes, pencils, etc. Before I even get into this post, I want to tell you that I bought this yesterday at my local Staples AND IT IS ON SALE for just $5 (regular price: $9.99). Since the price online is still $9.99, this is obviously in in-store only sale, but I don't know if this is a week-long sale, month-long or just a clearance type of thing. So if you're interested, I would get over to your local Staples ASAP to see if your location has them for this price. I have been on the hunt for a good "lazy susan" for a LONG time. There's a cute one at Michael's that's white and has pull-out drawers, etc. but it retails for around $50, which is way beyond my budget even with a coupon. So when I saw this black plastic version at Staples and THEN saw that it was on sale for $5, I bought the last two on the shelf! There is one large and very deep pencil holder in the middle, with three smaller (more shallow) pencil holders on the sides. Then there are three "pockets" on both the upper and lower levels, so all together that's 10 places to store you makeup and tools. I'm telling you, just one of these organizers holds everything I need for my day-to-day makeup application with the exception of eyeshadow. I have two EcoTools brushes, an e.l.f. Studio brush and a Real Techniques brush in this cup, with a little room to spare. As you can see, some products hang out a tiny bit, but not far enough to actually fall out when you spin the organizer. There is a total of 14 eyeshadow brushes in this cup, both big and small. Some of the brands include EcoTools, e.l.f., Urban Decay and Real Techniques. I hope this helps those of you who are looking for a storage solution for brushes, pencils, etc. I LOVE the convenience of a lazy susan because you can just spin it to get what you need quickly. Plus, since it's plastic I can just periodically throw it in the sink to clean it and then put it upside down to dry. I also love that it's black so that nay makeup that does get on it between cleaning won't show. For me, this is PERFECT and I'm so glad I got two of them (I plan to use my other one for lip products). How do YOU store your pencils and brushes? Are you thinking about stopping by Staples to find this organizer? Do you already have an awesome system that works for you? I'd love to hear from you! I think I need to get some of these. The closest Staples is 30 minutes away though. Good thing I was already debating driving over tomorrow to look for the new Essie collection at the Target there. This is a great idea. I need about 4 of them though! :) I use those basic clear acrylic counter top makeup holders right now, but I find that I can't find my brushes because the one I want is in the back, or better yet, it has been "swallowed" by some of the bigger brushes. This is definitely worth the try though! That looks really handy! Might stop by Staples tomorrow when I'm out running errands. Wow...Good idea, I've been looking for something to organize my dress of my cosmetics. This might work. These look great! Recently I bought a "Black 7 Drawer IRIS Mini Storage Chest with Organizer Top" to store ALL my makeup but the brushes are still in bags so this organizer from Staples looks like just the ticket for that. Ooo, I wanna see the lip product one too! I'm such a product organization junkie. Thanks for sharing! What a great idea! I'm running to staples now! I am a sucker for any kind of organizer but this one looks very useful, I'll have to check it out. Thanks for the pictures! Thank you so much for the tip, after I read your post I went to Staples and bought the last 2. I am new to your blog and I find it really helpful. Thanks. I actually use jars. (recycle, reuse, reduce) and i literally decorated them with bits of whatever. and they turn out looking pretty cute, in my opinion. I have one of these at work holding my pens, scissors, tape, push pins, etc. (Also got it for $5!) I love the idea of using it for makeup, but I don't think I have the room. OH so clever!!! I have a ton of clutter on my counter now...this could help clear it up! I need to go to staples anyway! What a brilliant idea! Thanks for sharing this one! I just may pop into staples today for one of these! I have been looking for something similar that I can also stash my flat iron in and the middle cup looks like just the ticket! Thanks for the tip! I'll have to check my Staples later today! I wish I had room on my desk for this! My makeshift storage is working for now, but I can see something like this in my future. I use this for all my nail stuff... nail art brushes, go to base and top coats, go to treatments, stamping stuff, etc. I love this thing!!!!! What a great way to organize your brushes and pencils! I currently use Hello Kitty boxes from the dollar bin at Target! Ohhh Man...I was just @ Staples yesterday!! Hmmm now I'm thinking that those little shallow compartments might come in handy after all. I was just thinking that I don't know what to do with my short little kabuki and it would go in there perfect. Also shorter brushes like my little liner brushes or little concealer brushes. I have some that are tiny and prefer them that way. The only problem was that the middle pocket was too deep for any of my things so I stuffed a small piece of cloth at the bottom. Works like a charm! I think a pair of old socks or cotton balls/tissue would work as well. I've been needing a makeup organizer so bad. I stopped by staples yesterday to just see if they had it, and was planning on spending $9.99 on it. Its still on sale for $5, so excited to set it up and start using it! I saw this post in 2014 when I started following your blog, got the organizer, and have been 100% satisfied ever since. (Although my makeup collection has expanded to clear organizers as well). This is a great value. 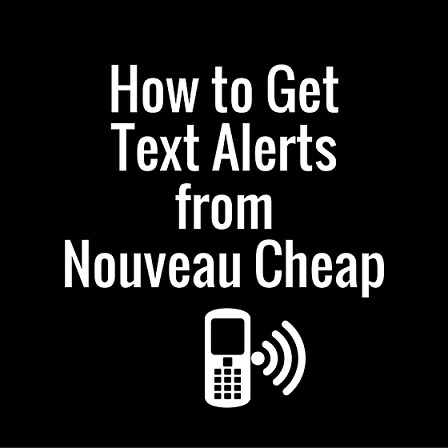 I love and encourage comments here at Nouveau Cheap, and I do not censor comments unless they violate my comment policy, which you can view here. Thanks very much for your help in keeping this a spam-free zone. What Happened to NYC New York Color? © 2009- Nouveau Cheap. All rights reserved.